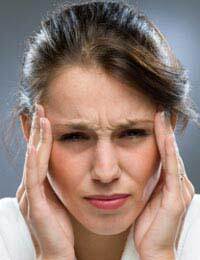 Home > Headaches > What is the Headache Impact Test? Having a headache means very different things to different people. For some, it may be a mildly annoying feeling of tension at the temples or at the back of the head. Others may be literally prostrated by severe one-side pain, sickness and sensitivity to light – a typical severe migraine. The descriptions of what a headache feels like vary widely, but in order to put some sort of measurement on headache severity, researchers have devised various questionnaire-based tests to try and standardise responses. One of these tests is the headache impact test that has been fully validated for use in patients with migraine and has been shown to be a reliable and valid tool for measuring the impact of headaches on everyday life. The Headache Impact Test is often called HIT-6 for short because it is a test based on a questionnaire with six questions. The first of these is “When you have headaches, how often is the pain severe?” This helps focus the person experiencing the headaches, who can tend to describe all headaches as they are same. The second question asks how often headaches limit the person’s ability to do usual daily activities, including household work, work, school or social activities. Obviously, someone who cannot carry on doing normal things because their headache is so bad is more severely affected than someone who complains of a lot of pain, but never misses out on doing anything. A follow up question asks if there have been times in the last month if the person with headaches has felt too tired to do work or daily activities because of your headache severity. The headache impact test also asks “When you have a headache, how often do you wish you could lie down? The last two questions enquire about whether the subject of the test has felt fed up or irritated because of headaches and, if so, how often this happened. Finally, the last question included is: “In the past 4 weeks, how often did headaches limit your ability to concentrate on work or daily activities? Development of the test took several years and was the work of a whole team of headache experts based around the world. As well as deciding the best questions to ask, the research team had to test the headache questionnaire on large numbers of headache patients to prove that it did the job – a process known as clinical validation. The HIT test is now translated into at least 25 different languages and is used all over the world. Where is the Headache Impact Test Available? The test is commonly used by researchers and doctors who assess patients with severe types of headache such as regular migraines but if can be done by anyone as it is available online. It only takes 2 minutes and will help you find out if you need to see a doctor about your headaches. Just put in “Headache Impact Test” into a search engine, and the site will come out as the top hit. What do the Results of the Headache Impact Test Reveal? The purpose of the test is to assess the impact of headaches on the quality of life of the patient with any type of headache. The results of the short survey are used to produce a score that then represents the impact on quality of life for that patient. The score produced by the test ranges from less than 49 – which means that the headaches have very little impact on the person who is reporting them – to a score of over 60, which indicates a very severe headache. Someone with this score may have 4 severe migraines a week, all lasting for more than four hours, and may be completely disabled during attacks. In between the range of scores indicate the overall impact of the headaches on daily life. In general, the higher the headache impact test score, the more likely the sufferer is to need medical treatment to be able to cope more effectively.